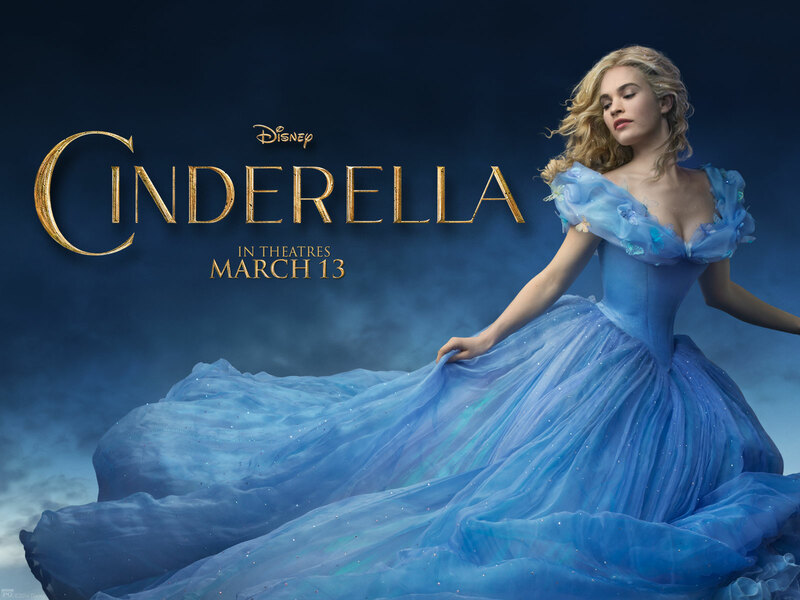 When I was invited to a special screening of Cinderella I wasn’t sure what to do. It was on a Tuesday, a school night, and there were only 2 tickets. I had three options. Decline gracefully, go on my own or pick someone to come with me (most likely one of my children). In the end I decided to do what no mother wants to do…..pick from their children. To be fair it wasn’t a hard choice in this case. My 3-year-old would have been a nightmare at a 2 hour movie at 7pm. My boy had no interest in Cinderella. My 8-year-old girl was the obvious guest for me. Breaking the news to her triggered much excitement. Having told the others that we had to go out to some “girlie thing” we hit the road. It was rush hour, it was busy but we got there on time to catch some of the drinks reception in advance of the movie. I was driving but I managed a tiny sample of the wine on offer and a small bit of finger food. There was also time for a quick snap in front of the big banners! The lights went down (literally we were plunged into complete darkness) but then, much to my daughter’s delight Frozen Fever, the new Frozen short kicked off. They weren’t lying when they called it a short and a matter of minutes later Cinderella kicked off. If I’m honest I had no expectations. I had heard the movie was coming but hadn’t read too much about it. I knew my daughter, as a typical 8-year-old, would love even the idea of it. I had definitely not anticipated how much I would love it too. 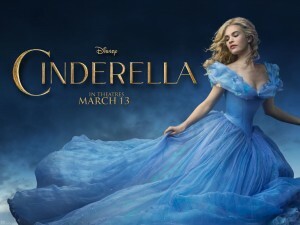 The film, directed by Kenneth Branagh, stays pretty much true to the traditional Cinderella fairy tale we all know so well. So really plot wise there were no surprises; Cinderella ends up living with a nasty step mother and her two step-sisters, a ball organised by the Prince of the land gives her hope of escaping her servitude but she is held back by her step mother and sisters. Left at home Cinderella’s fairy God Mother comes to the rescue and sends her to the ball where she falls head over heels for Prince Charming and him with her. Of course she has to be home by midnight and, while racing off, loses her glass slipper which the Prince uses to eventually track Cinderella down and they, as the fairy tale goes, live happily ever after. Why bother going to see a film we all know the story? Well this one is truly beautiful. There was something so very special about seeing a childhood classic fairy tale come to life not only as a live action movie but with a modern spell cast over it. I was suddenly catapulted back to being an 8-year-old girl beside my own one. Emotions were stirred during a number of moments including the death of Cinderella’s parents. I held back the tears. Of course the highlight was seeing Cinderella, played by Lily James, transformed into what was an amazing gown. My daughter has not stopped speaking of that dress. Of course spurned on by the fact that in a pre-movie introduction we were told that the dress took 2 miles of material to make. 2 miles! It was beautiful and only added to the floaty, whimsical vibe of the movie. The whole transformation scene of Cinderella by Fairy God Mother (Helen Bonham Carter) was just amazing. There will be the critics who will lambast the portrayal of a woman needing a man to rescue her from desolation. Or those that will criticise the body image of those playing the main parts. All I will say is it is a fairy tale. It should be taken at face value for what it is. A truly magical movie. One that inspires those watching to, in the words of Cinderella’s mother, have courage and be kind. It is a movie that every hopeless romantic, including myself, will fall in love with. If you don’t believe me then check out the trailer and even better get yourself to the cinema to check it out. The movie opens March 27th across Ireland. 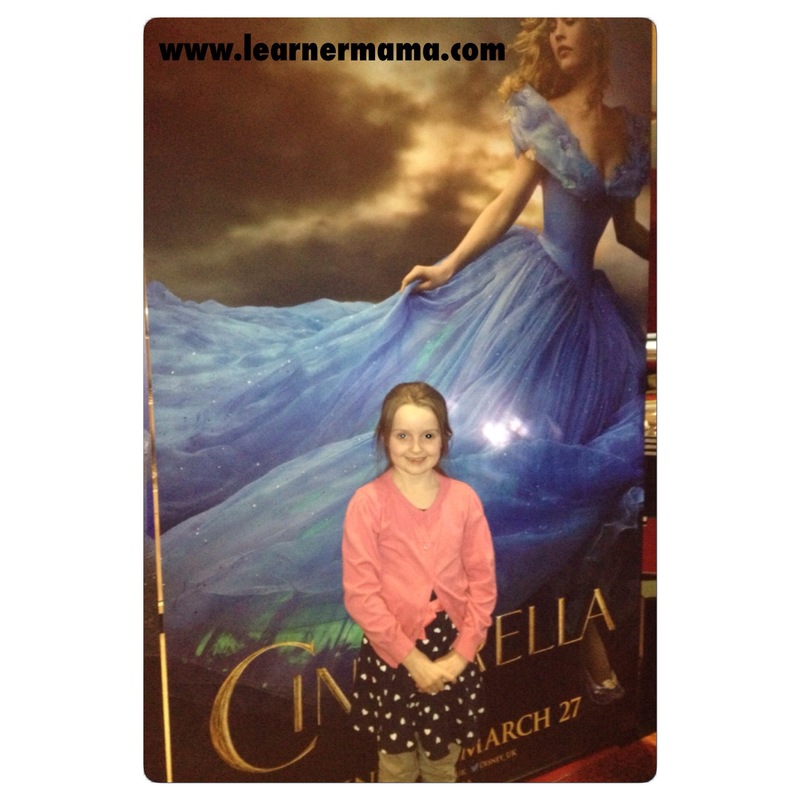 Disclaimer: I was invited by Disney Ireland to attend a special screening of Cinderella. I was not otherwise paid for this post and all views are my own. I really enjoyed! Way more than I expected to, it was just so magical and fairytale like. Same here. I was enchanted! Sorry to have missed you girls too!